We Use the K Vest for two reasons. First, it is an exceptional diagnostic tool. It measures both the geometry (shapes and positions) and the physics (energy) of your swing. Here's an example. 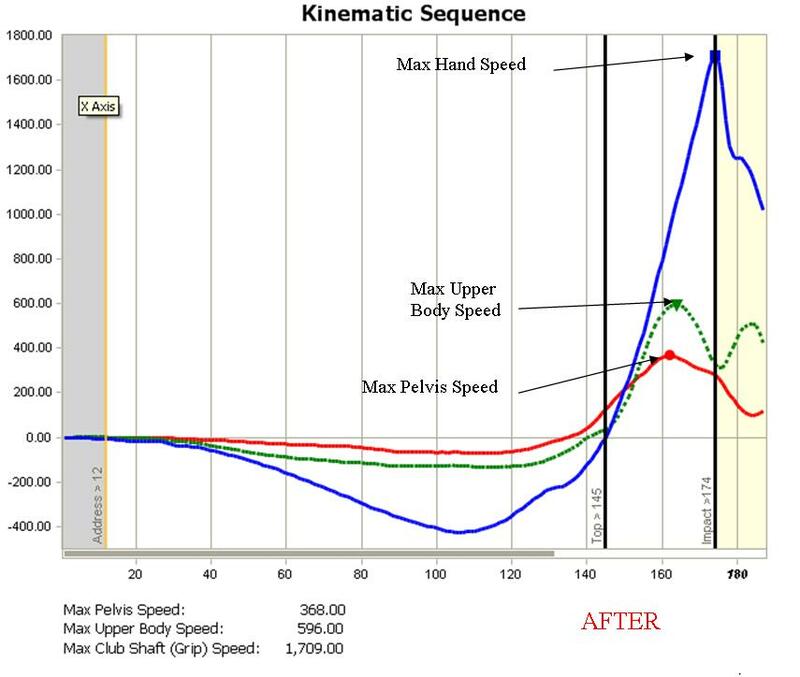 In the "Before" chart, this student's upper body (green line) reached maximum speed first, followed by his pelvis (red line) then by his hands (blue line). Looking at the "After" chart you can see that after training, this was adjusted so that the appropriate sequence was followed - pelvis, upper body, hands. 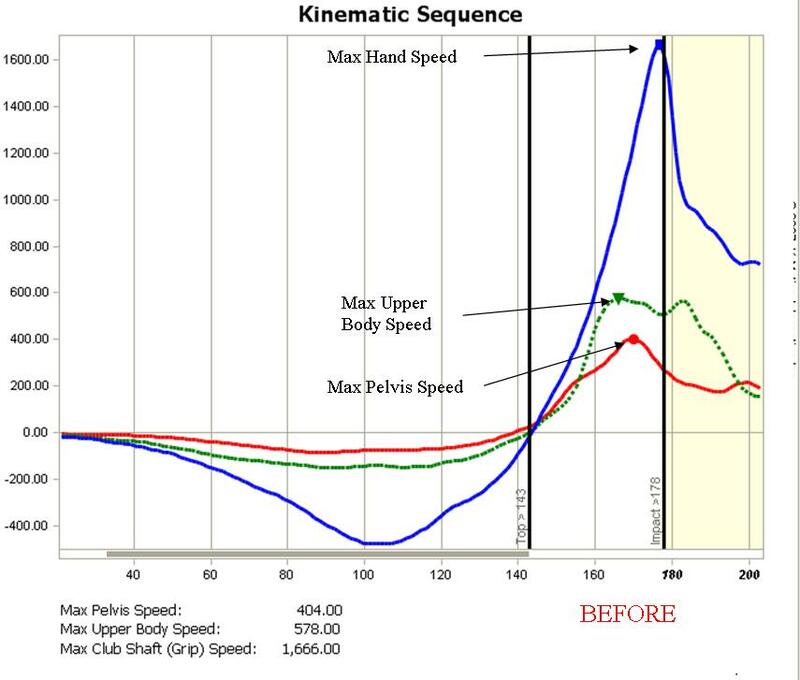 Even though his pelvis speed actually went down, both his upper body and hand speeds went up. By moving in the correct sequence, he generated more speed with less effort. His hands reached maximum speed right at impact - improving the quality of contact and the transfer of energy to the ball. Second, K Vest provides us with a biofeedback mechanism. It allows students to learn more naturally because it helps them discover and repeat a feeling that works for them. Once we have diagnosed any swing issues and identified a solution, we can use the K Vest to train. Through visual and audio feedback, it lets a student know whether or not they are making the appropriate movements - no guessing. This can be very important because many parts of the swing are more about a feeling than about thinking. You may need to turn, but how much? You may need to adjust your posture, but how much? Using K Vest as a training tool allows you to know when you are making the appropriate movement. You can then learn the feeling that you must capture to be successful repeating that movement in your swing. So K Vest allows us to monitor the way your body produces power in the swing. It provides real time visual and audio feedback to help you identify and repeat the correct feels. And that translates to lower scores on the course!